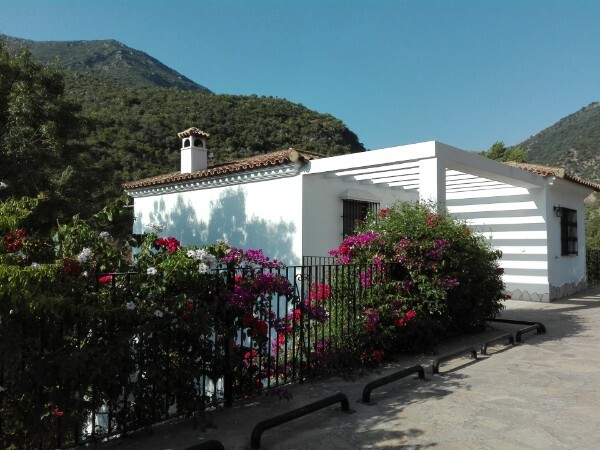 Casa Mama Tere is a beautiful, recently built holiday house for 8 people, located in the small Andalusian village of Benamahoma, which belongs to the romantic "route of the the white villages" in the province of Cádiz. Situated amidst the beautiful Sierra de Grazalema Nature Reserve, this peaceful location is ideal for a relaxing vacation amidst a lovely landscape. Being one of Spain's most stunning natural parks, the Sierra de Grazalema Nature Reserve is a fabulous location if you like hiking, bird watching, photography or simply resting. Located between the Andalusian provinces of Cadiz and Malaga, this is one of the most spectacular Karstic complexes in Spain, with several peaks of over 1000 m altitude, deep gorges, caves and the most extensive complex of rivers, cavities and subterranean galleries in Andalusia. In 1977 it was declared a UNESCO Biosphere Reserve.